Each year we plan to bring to our readers, a ranking on 10 best performing analytics training institutes in India. This year we went through an elaborate, rigorous exercise to evaluate all institutes that provide education on analytics (and related skillsets). There were various parameters that were used to evaluate the institutes like course content, pedagogy, external collaborations, and faculty. To access latest rankings (For the year 2017), click here. Jigsaw academy has been providing analytics training in India for more than 4 years now. As a pioneers of online training, they have mentored more than 3000 students on analytics related skills. 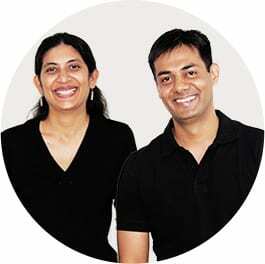 Jigsaw Academy is the brainchild of Gaurav Vohra and Sarita Digumarti who together have over 20 years of experience in the analytics industry. Having worked in varied industries, across multiple roles they brought their expertise and experience together, to form Jigsaw. Jigsaw Academy, has won the prestigious Brands Academy Award 2014 for ‘Best Academy for Analytics Courses’. This was the second consecutive time when the academy has won this award. Jigsaw co-founder Sarita Digumarti was awarded The Economic Development Forum’s Global Achiever’s Award 2013 also for Education Leadership in recognition of her achievements and contributions in the field of analytics education and training. Course Content: Jigsaw’s courses have a well thought out course structure. Their courses cover the most relevant skills. The focus is on teaching the skills that are used most often and consequently are most in-demand. Jigsaw’s course content includes pre-recorded videos and class recordings. The pre-recorded videos are very different from the run-of-the-mill videos that are being developed by most online training institutes. Here, there is special emphasis on ensuring both the audio and visual components are of the highest quality. One can see small details like how the slides are never cluttered with text, how the relevant things are highlighted at the right time, how the audio quality is of a very high standard. All of these details combine to provide a superior learning experience. External Collaborations: Jigsaw has a tie up with Great Lakes Management College to offer a 1 year program in analytics. Jigsaw’s courses are now being introduced as part of the curriculum for Asian Institute of Management, Manila as well as IIM, Bangalore. Faculty and Management: Jigsaw Academy’s faculty and content creators consist of industry professionals from around the globe. With an in-house team of 10 analytics mentors and an ecosystem of over 100 part timers, Jigsaw has the right mix when it comes to faculty. Placement Assistance: Jigsaw Academy has an extensive industry network to facilitate placements for its students. The faculty works with students to help make their resume more analytics-friendly. They helps to highlight specific experience and skills from students past experience that will appeal to analytics recruiters. Jigsaw Academy provides analytics talent to most of the large organizations in India. Students have access to job listings exclusive to Jigsaw students. Jigsaw identifies relevant openings for their students and then sets up interviews in various organizations. Jigsaw has a vast question bank of questions that are commonly asked in analytics interviews. Students have access to the database as well as other support from faculty to prepare for the interviews. Events: Jigsaw organizes Jigsaw Analytics Meets (JAM) which bring students, alumni, mentors, industry experts and the rest of the Jigsaw team together to discuss career opportunities, career trends, industry trends and share analytics knowledge. Also a time for fellowship and fun. Virtual Lab: The virtual lab allows students to gain hands-on experience on analytic tools as well as business case studies and evaluation exercises. Students use a remote desktop connection to log in to virtual lab. This allows students to access Jigsaw’s virtual lab from any computer with an internet connection and do the lab sessions and evaluation exercises at a time of their convenience. Online Platform- Blended learning, either video or instructor based or a combination of both. International School of Engineering (INSOFE) offers executive education in Data Science/ Big Data Analytics in a classroom model. INSOFE is the only institute in Asia which is certified by the prestigious Language Technologies Institute (LTI) of Carnegie Mellon University (CMU), USA for the quality of Content, Pedagogy, and Assessment. INSOFE’s Certificate Program in Engineering Excellence (CPEE) in Big Data Analytics and Optimization (BDA&O) was listed 3rd globally and 2nd among academic institutions for Big Data certifications that “Pay off” by the authoritative CIO Magazine in July-August 2014. INSOFE is the only institute outside the US to be listed in this review. INSOFE’s program on Big Data Analytics & Optimization was also listed 2nd amongst the “7 Big Data Certifications You Must Know/Probably Have” by EFYTimes.com in August 2014. INSOFE has thus far trained over 500 people through its programs. Course Content: The curriculum was designed in consultations with one of their Chief Mentors, Dr. Jaime Carbonell, University Professor and Director, Language Technologies Institute (LTI) in the School of Computer Science at Carnegie Mellon University, and industry practitioners from HP, Microsoft, Google, GE, and a few startups. This brought the best of academia and industry in designing together the most effective curriculum keeping in mind the current and future needs of the industry. Pedagogy: Classes are taught completely in a classroom mode over 18 weekends. The lecture sessions are taught by people with PhDs from Johns Hopkins U, Carnegie Mellon U, Stanford U, U of Texas at Austin and U of Texas at El Paso, each with decades of work experience globally in organizations ranging from startups to Indian Defence labs to mid-tier IT companies to Fortune 10 companies. These are complimented by lab sessions in the classroom, handled by Senior Data Scientists with 5-15 years of work experience. Quizzes are held in every class to ensure people are keeping pace with the rigorous program. External Collaborations: Given the importance and need for preparing data scientists to meet the current and rapidly growing needs of the industry worldwide, INSOFE has strategically started collaborating with institutes ranging from undergraduate engineering colleges to universities teaching graduate and postgraduate courses to industry that needs working professionals and decision makers at CXO levels trained in the field. Faculty and Management: INSOFE was founded by 3 entrepreneurs – Dr. Dakshinamurthy V. Kolluru, Mr. ASLG Kumar and Dr. Sridhar Pappu. Virtual labs: Hadoop cluster is made accessible to all students throughout the program duration and 1 month thereafter. Placement Assistance: Complete Career Services are provided from helping with resumes to conducting mock interviews to setting up interviews with potential employers. There is no cost to either the student or the employer. Placement Services in USA are provided through industry partners Neumeric Technologies and iCube. Events: INSOFE has conducted workshops to increase Analytics awareness among working professionals, with special sessions conducted by INSOFE mentors along with Dr. Jaime Carbonell and Dr. Eugene Fink of CMU. They have conducted over 20 talks and regularly conduct Analytics awareness sessions and give talks at engineering colleges to spread Analytics awareness among college students. Edvancer’s vision is to be the premier career-oriented education provider in the world. They aim to provide the most practical, industry focused, hands-on, cost effective courses which will enable our students to gain skills needed by industry and hence become employable. At the moment Edvancer have three courses available, 1. Certified Business Analytics Professional, 2. Certified R Programmer for Analytics and 3. Certified Hadoop & Big Data Expert. Course content: Edvancer’s courses are designed by industry veterans to meet the expectations that the analytics industry would have from its new recruits. This means that all its courses are highly practical and hands-on and combine a perfect blend of theory and practice. The courses teach you the skills that are most needed by analytics recruiters and most used in the projects. Each of their courses have a focus on a job-role and train you for that role. To that end all the courses have a specific focus and do not over-burden the trainee with learning more than necessary or what is not suitable for the trainee under the guise of fancy terminologies. Edvancer recognises that business analytics is a mix of business, statistics and algorithms and technology and has designed its courses to reflect a blend of the three. Within our course content, you get highly detailed course material designed in a well-structured and modularised manner, recorded videos of your classes and previous batch’s classes, datasets to practice on, case study discussions, assignments, quizzes and a capstone project to work on which will act as real world experience on your CV. You have life-time access to all the course material. 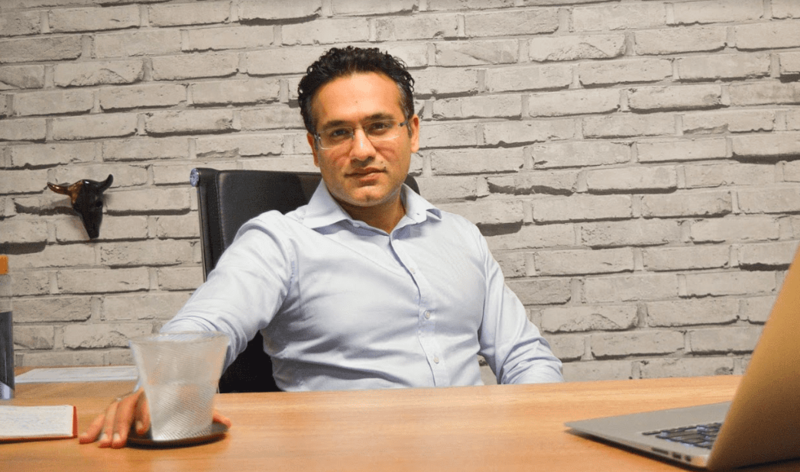 Pedagogy: Edvancer conducts training through live, instructor led, online classes using high-end virtual classroom software like Adobe Connect and GoToWebinar. These virtual classrooms provide complete interaction with the trainers and other participants through voice and chat. In no time, trainees start feeling that they are sitting in a class rather than at home. They use a case-study based methodology within their courses with a focus on working hands-on on the concepts. Trainees also go through a lot of material which is in-depth and easy to understand. They can work hands-on on the software tools which they can download on their machines for free and use whenever they want. The trainees can also interact with the faculty between classes through forums, emails and scheduled calls and get doubts and queries clarified. Each class is recorded and the videos are provided to the trainees to refer to whenever they want. Lastly, everyone has life-time access to the course content and videos. Faculty: All of Edvancer’s faculty are industry professionals with anything between 4-12 years of experience in this field. They are educated in premier institutes like IIT, IIM, ISI Kolkata, NIT etc. They are not only highly experienced in the industry but also have lot of training experience both online and offline. Learning Management System: Edvancer has a comprehensive and easy to use learning management system which can be accessed by students 24×7 from anywhere in this world. They can access the study material, course lecture videos, assignments, quizzes, projects, books and other relevant material from the LMS. They can also put up their doubts on the Q&A forum for the faculty and other participants to answer and can email the faculty from the LMS itself. Once enrolled they have life-time access. Lab facilities: Edvancer ensures that trainees can work on the tools whenever they want and the best way to do so is for the trainee to download the relevant free softwares on their own system. Datasets are given for downloading so that they can practice whenever they want, wherever they are. Placement Assistance: Edvancer offers placement assistance to all the online classroom students right from designing their resumes, helping them with frequently asked interview questions and conducting mock interviews when they have interviews coming up. We also help them get recruited in various companies who approach us for hiring. We also keep them updated on various openings in the market. In the past several of our students have got interview opportunities with various firms and have been recruited in analytics roles. Events: Edvancer conducts free webinars on analytics and big data and provides attendees with a very good overview into the world of analytics and big data and careers in analytics through a 2.5 hour session. Thousands of attendees, many of them with not much knowledge about analytics have benefited so far from these sessions by getting detailed insights into analytics. AnalytixLabs is a capability building and training solutions firm led by McKinsey, IIM and IIT alumni with deep industry experience and a flair for coaching. They pioneer in high quality online and classroom training since 2011. AnalytixLabs (ALABS) is focused at helping their clients and students develop skills in basic to advanced analytics to enable them emerge as “Industry Ready” professionals and enhance their career opportunities. Their USP is industry- focused and job- oriented courses along with a high degree of personal attention that each student gets from the faculty. Course content: For corporates, they problem solve with the concerned teams to assess the requirements and then customize courses for them. For individuals, they have a wide offering of courses- SAS, SPSS, Business Analytics and Wiley certified Big Data programs (which comes with an international certification). The Wiley course content has been further enhanced based on faculty’s industry experience and augmented with set of additional big data case studies. Faculty & Management: The team together has over 50 years of experience in Analytics & Consulting with leading organizations like McKinsey & Co, Deloitte, Facebook, Genpact, AOL spread across various domains like Telecom, Retail, Risk, Banking and Finance. They come with a strong consulting experience thereby providing them deep understanding of analytics in wide array of industries and business functions. Placement assistance: All- encompassing placement assistance is provided by ALABS by helping their students at multiple stages through the entire process. With each faculty member having an average of 8- 10 years of experience, they themselves have been involved in recruiting for their respective companies and hence understand the placement process in detail, an asset that is extremely beneficial to the students. Members hence are assigned as mentors to the students and this placement support is an ongoing support, continuing post the course completion also. The mentors then help students through resume writing, profile building, guidance on jobs to apply, forwarding CVs to various companies as well as conducting mock interviews for the students. Further to this, ALABS uses its wide network of alumni and industry relations to refer students for suitable positions. External Collaborations: ALABS is the first institute in North Indian to partner with John & Wiley Corporation to deliver internationally certified Big Data programs. ALABS also conducted Train- the – Trainer program for other partners of Wiley in North India in the month of September 2014. ALABS are also in the process of launching a Business Analytics course in partnership with four business schools in Maharashtra. Pedagogy: To make students industry ready, ALABS focuses more on the practical aspect than theoretical in the ratio of 70:30. Programs include a plethora of case studies with datasets ranging from small to large sizes to give them a practical learning experience. In terms of teaching methods, they provide 2 convenient options to students to choose from: instructor- led live classes and self- paced video based training. High-degree of individual attention is given to students by giving them time post class hours in case of any doubts. Special attention is also given to students requiring help with clearing various levels of professional certifications and job interviews. Students also have an option to repeat any topic that they wish to, in the one year following their course completion. Virtual labs: For different courses, students get thumb-drives with pre-loaded virtual machine to run required analytics platforms (like R and Hadoop) along with module-wise project and datasets. In SAS based courses, students are provided with the cloud- based SAS software through “SAS on Demand for Academics” and SAS University Editions once they register on the SAS website as ALABS students. These virtual environments help students to get a real-life experience extensive hands-on experience. Events: ALABS was the Gold sponsor for IIT Roorkee’s Business Conclave and also conducted a session on “Career in Analytics”. Similar activities are planned for other institutes in the coming months. Free regular introductory sessions are also held for aspirants to help them understand about analytics industry and career analytics. Imarticus Learning is formed to bridge the gap between academia and the industry. The firm provides a range of Corporate Solutions designed to assist firms in meeting its skillset requirements. Headquartered in Mumbai, Imarticus has delivery capabilities pan India with dedicated centers at Mumbai, Bangalore, Chennai, and satellite centers at Pune and Jaipur. Course: The Analytics programs at Imarticus equip candidates with outstanding statistical and quantitative skills augmented by fact based tools and software to drive decision making. The latest tools and techniques in Analytics including the leading SAS certification and R, is covered along with advanced predictive models. The program is designed and taught by experienced industry professionals, who have over 15+ years of experience in this domain. Faculty and Management: Imarticus is led by senior professionals from universities such as Columbia and INSEAD, with over 15+ years in Investment Banking, Technology and Analytics domain. The analytics program at Imarticus is led by Subhashini Tripathi, a leading industry trainer. She has over a decade of experience across analytical roles in Retail Finance and Banking. Enabling Infrastructure: Imarticus has its offerings over 5 centers across India. Each of training centers is over 6000+ square ft of well-designed learning spaces, natural light, and good ventilation for an environment that is conducive to learning. Placements: Imarticus provides placement assistance to its candidates through a structured process that is led by a team of seasoned industry professional with Analytics, HR and Recruitment experience. Students have been placed with firms such as KPMG, Citibank, EXL Services, Accenture, HDFC Bank among others. 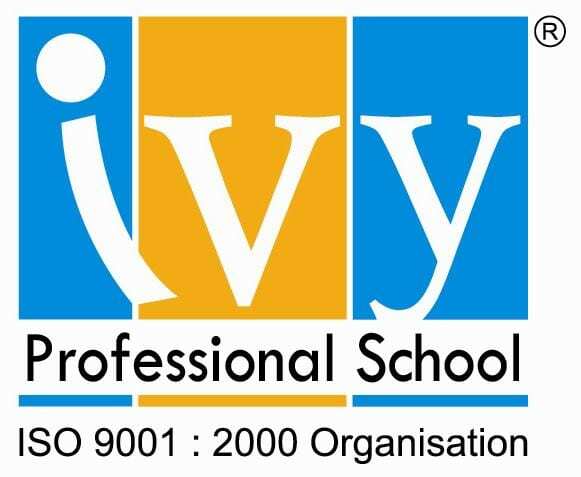 Ivy® Professional School is the official and authorized learning partner of some of the biggest corporate houses in India in the field of Analytics, Consulting, Banking & Finance, Information Technology, FMCG, Project Management and Manufacturing. Ivy® has trained 5500+ professionals since its inception in late 2007 as the official partner of companies like ITC, HSBC, eBay/Paypal, Capgemini, Cognizant, Lexmark Inc., MOL Ltd, Ion Exchange Ltd, NACEN, etc. Ivy also provides in-house industry relevant courses on Analytics, Actuarial Science, IT Security Certifications and a few other niche domains. Ivy’s in-house courses have attracted professionals from leading corporate houses (such as ICICI, HDFC, HSBC, Capgemini, Accenture, Cognizant, PwC, Deloitte, KPMG, etc.) and students from elite colleges (such as IITs, IIMs, NITs, St. Xaviers’ College, Presidency College, SRCC, Anna University, etc.). Many of them are now working with top-tier companies in their respective fields. Ivy has now partnered with IBM to provide IBM approved Analytics training across the nation. Industry Alliance: Ivy has joined hands with a leading analytics consulting company to launch an Industry Project backed 6 weeks Summer Analytics program. Successful candidates from this program could also be eligible for Pre-placement offers from the industry partner. Placement Assistance: Mu Sigma Analytics (www.mu-sigma.com) conducted their off-campus recruitment drive for Analytics candidates at Ivy Professional School. NIVT is an Industrial Training Centre affiliated to NCVT, DGE&T, Govt. Of India, Ministry of Labour and Employment for the ICT sector in West Bengal based in Salt Lake City, Kolkata & Noida, (National Common Region) -Uttar Pradesh. 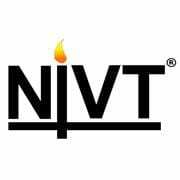 NIVT (Formerly known as Novel Institute of Vocational Training) is the training brand of Novel Research and Development India (P) Ltd, the premier training provider in the field of Information Technology and Information System Management. NIVT is an innovative concept of imparting technology training to young professionals in niche areas starting from beginner’s courses to Data Analytics, Business Intelligence tool and other emerging technologies. NIVT was established in 2003. We are the only Institute in Eastern region of India, imparting different courses on Business Intelligence tool & Information System management. Our mission is to provide technical and management skills and knowledge that significantly enhance their on-the-job productivity, and thereby improve the performance and increase the competitive sustainable advantage of their employers. We are focusing the training with minimum fees by which after spending lots of money for different degree program a student should not face any problem. We are also considering the 100% fees exemption for the under privileged trainees. We judge our success through our ability to provide the highest-quality services, as perceived by our participants, while achieving a steady growth in revenue and profit, and providing our personnel with the opportunity for individual development and achievement. 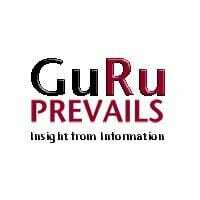 GuRu Prevails is the first consultancy firm to offer training in Machine Learning. Its world class faculty, best in their class course modules, and ambitious, industry defining projects allow GuRu Prevails to offer the ideal educational experience in Machine Learning. Getting from point A to point B in a world swamped with redundant and contradictory information isn’t easy. But, by introducing students to new technologies and analytical methods of problem solving, we help our students to map out their route to make their way on the web. GuRu Prevails founder, Dattatreya P Sharma, is a believer in the power of learning. This is not surprising considering the fact that Dattatreya is an S P Jain Institute of management and research pass out, and a graduate of NIT Allahabad. Dattatreya’s passion for learning is reflected in the GuRu Prevails service model. He believes that once a great talent is discovered, there are no stops on the road to success. Education is a lifelong process. The most important thing is learning how to learn. Palin was founded in 2009 as a center of edification with an aim to deliver sky-scraping excellence in the field of education. With a competent team of a great technical elites, Palin can help someone to get growth in his/her career in few years. It is an institute which was built with the goal of creating a training center for providing a pool of manpower for the software development industry. We can proudly say today that we are the creators of IT professionals adding their valuable contribution to the IT world. We not only contribute by building manpower skills but we also provide some other services like online consultancy services. We do provide our services to our direct corporate but also provide services on behalf of organizations. We believe in providing a very cost effective compressive but accurate training. Palin are here to give a strong foundation to your career which would ensure a progressive and rewarding career. We ensure the accuracy of the knowledge provided and your flexibility and interest to continue with a successful career. Understanding the present and future market trend we want to keep up with ever-changing technology and passion we have for HADOOP and a shortage in skilled man-power, Made us to introduced hands-on technical training for graduates and working professionals in the fields of BIG DATA where BIG DATA SOLUTIONS gives a complete package of Hadoop ecosystem to deliver the best training for BIG DATA. This is the place where we do not teach. We relate our concepts with the real time scenarios. Our main objective is to train in such a way by the end of the train every individual forms their individual cluster and analyse BIG DATA. I am an IT professional with 6 years experience in mainframe technology. Which course would be good for me to shift into analytics? and which is the best institute in bangalore for classes to attend in person and online as well. Please suggest. Sir my name is Samir das and i am from West Bengal , Malda . i have done Bsc(it) from North Bengal University and now i am decide to open a computer education training center . I need a franchise / approval from Jigsaw Academy . How good is INSOFE? I am planning to do a course. The faculty profiles seems to be very impressive? Any body has any feedback about this institute? I have 29 months exp in Market Research industry.I am planning to migrate into Analytics industry.So, I would like to learn SPSS,SAS(Base & Advanced) & R courses through online mode.May I know the best institute for these courses with placement assistance. Hii…May i know which is the best institute for big data hadoop in bangalore with placement assistance. May i also know wch is better? Big data hadoop or big daa analytics? I am new to this!! I have 4.6 years of experience in Software testing and now i want to change my profile to Business Analytics. Working in Bangalore. Could you please suggest me which course and Institute would be better for this course?? Thank you so much for the valuable information sir! I am a B.E (E.C) fresher and I wish to enter into this domain. What I found out was most of the top ranked institutes for analytics in India ask for minimum two years of experience and many of them provide online classes. But I want to register myself for a full time course and also, as I said, am a fresher and have no work experience. I read about Aegis School of Telecommunication and School of Business, Mumbai which provides a Post Graduate Program in Business Analytics and Big Data. As much as the course looks good and it is located in Mumbai (which is an ideal location for me), I am not aware whether the institution is good or not. They aren’t asking for work experience which is too a plus point for me. But what discouraged me from applying to that school are the online student reviews on few websites. Their official website promises something else and what students say on consumer forums and other websites is quite contradictory. I need to finalize it real quick so I’d be extremely grateful to you if you could reply to my message ASAP. Thank you! If you are looking for business analytics courses in Mumbai then a good alternative might be MISB Bocconi. NIVT Kolkata is really good for analytics training. I think this is quite a comprehensive list – I personally can attest to Edvancer being in top 3, as their courses are quite good and provide value for the money spent! Cheers! i had been a student at Jigsaw Academy. As online training being new and feared to be ineffective; Jigsaw put an end to my dilemma. I had smooth, efficient and effective courses run with Jigsaw. The faculty members and support staff were helpful in all possible ways. All other institutes must be doing well in their respective courses. Jigsaw, never gave me a chance to complain regarding their course related topics, support, flexibility, clarification etc. Thank you Jigsaw! Did a program from Imarticus – their course was a little fast, but had sufficient coverage. Would recommend to others interested in data science and also classroom training. For online, i have heard jigsaw is good. We at Skill Venue, offers Instructor led online certification course in Business Analytics and Data Science. The course focuses on building skills in Business Analytics and Data Science with in depth training on the powerful R statistical platform. What am looking for here is just give us an opportunity and register with us for a demo class. We are available 24X7 to take your queries. Call us at +91 9643 715 456/ +91 9643 899 456. I am being trained at Edvancer and without an iota of doubt the training is the best. The content and the faculty is great.Thank you Edvancer. I am getting training from NIVT for SAS Base and Advance…The faculty, their course structure and material really helped me a lot in grasping the knowledge about SAS. I would suggest them for some Live Project Training. If this will be provided it will help students to know about how SAS is helping the industries. Knowledge and its application make it more interesting for the students. By using the practice material we get some idea about its application but what is the specialty of SAS, what makes it different from other data analytical tools, or how it is helping the management team in their decisions, we only know when some good project training will be provided. I have trained at Edvancer and I would recommend it as their faculty are really knowledgeable, always helpful, course content is really good and comprehensive and job opportunities are available. Plus they are far more cost effective than others especially Jigsaw whose fees are very high. We are truly happy to have such an honour from http://www.analyticsindiamag.com, showing their support in such a magnificent way. It might be best to simply express my appreciation with a sincere and profound thank you. I would like to congratulate all the other listed institutes. I just like to add few information about our services, we are conducting 360 degree global certification preparation guidance program following the SAS institute curriculum, for different modules of SAS. We have already started training on Hadoop Big data, R, Qulickview and other tools. We are in the process of introducing SAP Hana by next month. Trainees/ delegates are coming from different part of the country/Industry/top universities/ many students from abroad also participated our program. Successful students are working in TCS, HSBC, Amex, Accenture, Skytech, ICICI bank, JP Morgan etc. I would like to thanks all the ex-trainees those are giving their valuable feedback. Inviting others too. We are also conducting corporate training. Analytics is not really restricted to stat/eco background now, It is open for every vertical of the business, So any graduate can attend and get a rewarding career. Finally I would like to give a special thanks to Mr.Bhaskar Gupta for giving us a space in this list. Student Experience – As part of the research that went into the ranking report, I spoke to a number of students of all the training institutes. Jigsaw Academy’s students have consistently rated their Academy very high. The support that is provided to Jigsaw students is exceptional. Placement services – Jigsaw Academy genuinely provides job opportunities to its students. I spoke to Jigsaw alumni who are placed in companies like AC Neilsen, Genpact, Gramener and Accenture and they all credited Jigsaw academy with getting them into analytics. Jigsaw Academy’s courses are now being offered in the Asian Institute of Management, Manila as well. We are truly happy to have such a honour from http://www.analyticsindiamag.com, showing their support in such a magnificent way. It might be best to simply express my appreciation with a sincere and profound thank you. I like to congratulate all the other listed institues. I just like to add few information about our services, we are conducting 360 degree global certification preparation gudance program following the SAS institute curriculumn, for different modules of SAS. We have already started training on Hadoop Big data, R, Qulickview and other tools. We are in the process of introducing SAP Hana by next month. Tranees/ delegates are coming from different part of the country/Industry/top universities/ many students from abroad also participated our program. Sucessful students are working in TCS, HSBC, Amex, Assenture, Skytech, ICICI bank, JP Morgan etc. I would like to tanks all the ex trainees those are giving thier valuable feedback. Inviting others too. We are also conducting corporate training. Analytics is not really restricted to stat/eco background now, It is open for every vertical of the business, So any graduate can attend and get a rewarding career. Finally I would like to give a special tanks to Mr.Bhaskar Gupta for giving us a space in this list. This particular program @NIVT has increase my knowledge level. I love learning in jigsaw, the facility here are very knowledgeable and the kind of student care they have is extraordinary. And coming to placements if you get the right kind of quality education then i don’t think there is any need for any placement assistance. Although there is a placement assistance drive in jigsaw i haven’t been too keen in getting a job through them.They have been helping with my resume,job posting links and also interview questions.We just can’t ask for a job by enrolling in a coursework .The best thing about jigsaw is that, they teach how to become professional and efficient analyst.I would definitely suggest people to take the coursework in jigsaw if you ever wish of becoming a good business analyst.cheers! Have heard alot about Jigsaw Academy as an institute and I am curious about their new Big Data Course taken together with their Data Science Training course. Can anyone please guide me regarding this?